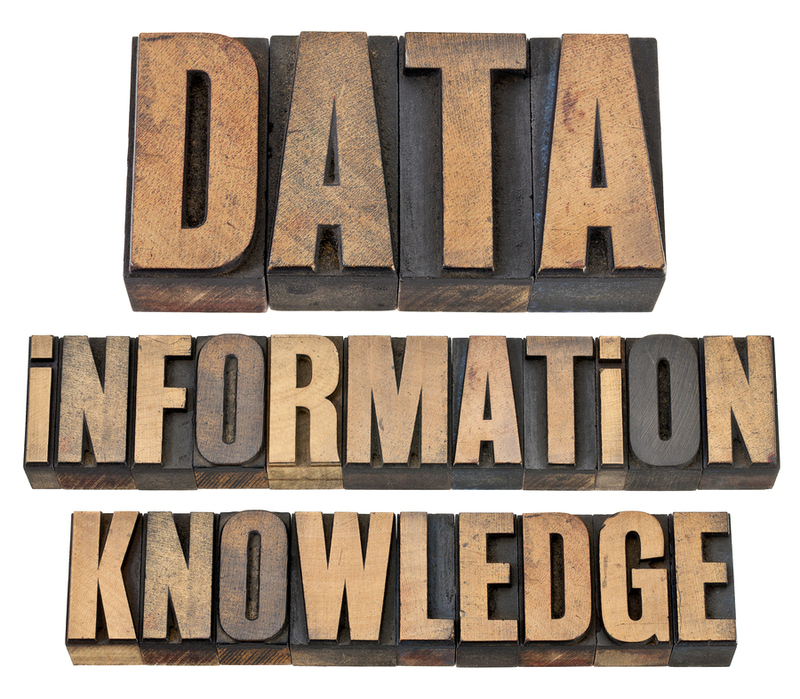 Big Data Knows – If Only YOU Knew! Back when we built Driver’s Mart Used Car Superstores we designed a kiosk with key cards and sophisticated gates so we could tell which cars people wanted, whether our inventory was priced accurately, and how the sales associates were performing. I can remember sitting with General Managers and Used Car Managers at 20 Groups and talking with envy about the CarMax inventory software that helped them know what to buy and how to price it. Today, when you look at what is being done with Big Data, it is finally possible to know the answers to many of our age old questions. The same data that can tell you who to serve, what to do with what product, which site to use at what time, can tell you what that person is likely to buy, when and even why. I have been advising a company called Vast for the last 2 years that scans 27M cars every day and sees more than 100MM vehicle searches across 400+ different web sites. We together have built the most powerful Big Data application for sales associates – CarStory. 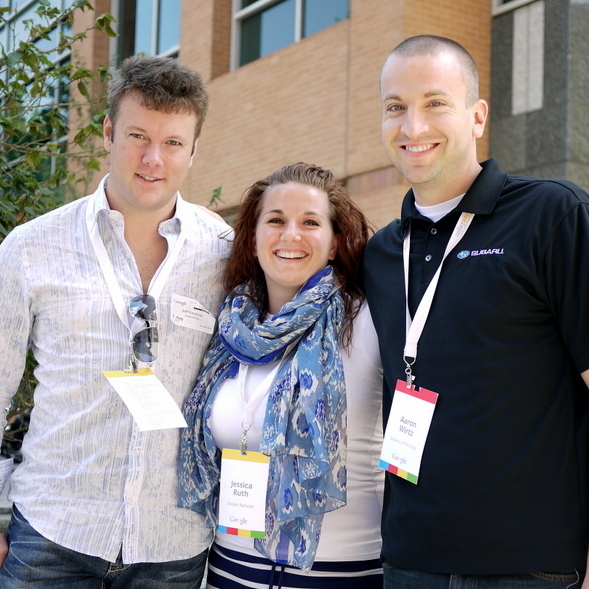 Working with their Chief Scientist & analytics experts has been really enlightening. September 8th was a fairly awesome day as I sat at my desk prominently displaying my Tough Mudder orange headband wrapped tightly around my head, random curls squished underneath. It was, after all, Wear Your Headband to work day as I had completed Tough Mudder that weekend. I couldn’t wait for my official pictures to be emailed to me, they said I’d get them some time that week. I asked my friends if they’d seen their pictures. I found my victorious, dirty and just plain great photos. Stuck, just trying to get my attention buried in the Promotions tab in my personal Gmail. Poor, poor pictures. Since its May release of an algorithm that created tabbed Gmail inboxes, you’ve likely missed a few emails. Maybe, some you’ve welcomed the delay, but with others you have not. I noticed that while my Banana Republic emails always went straight to the Promotions tab, my Hubspot emails had a 50/50 shot at making it to my Primary box. Between trying to figure out why that was, and seeing our own DealerRefresh emails end up in the Promotions tab, I thought I’d check into this a bit more. Almost 50% of email opens happen on a mobile device (No tabs). There are more people using Apple Mail and Outlook than Gmail itself to open emails. 54% of Gmail opens occurred on a mobile device, while only 19% of Gmail opens happened on the web. You’ve become more visible, even if it doesn’t seem like it. Now, instead of competing in the mix of marketers, Aunt Mary’s Thanksgiving invite, your cousin’s latest crafty card picture and daily horoscopes – you’re just sitting pretty in the same boat with the same paddle. Only now, the creek is a little less crowded. Be! Just Be. Be engaging, be relevant, be attention grabbing, be great. You’ll easily get the trash-routed click if you send an email that looks just like rest. Be noticed! Be cognizant of your data. What time of the day are your emails succeeding and failing? Which email subject lines did better than others? I’ve since gotten my permanent-bragging-rights photos ordered – I was disappointed their merchandise line up didn’t include an excuse to nap daily for a month, but I’m holding out for next year. Also, I’ve paid a tad, not much, more attention to my Promotions tab. Maybe, because I was on the hunt for Banana Republic coupons for fall, maybe because I was hoping more photos would appear – whatever gets me to look, at least I’m checking it. What will make your customers check their Promotions tab? DealerRefresh: Let’s do a meet and greet…Hi, we’re DealerRefresh and you are….? Aaron: I’m Aaron Wirtz, a native of Wichita, Kansas who just turned 31 years old. I got into the automotive industry through a dynamically worded job posting for a Social Media Manager on Craigslist. I was working as a Graduate Teaching Assistant at Wichita State in pursuit of my Master’s Degree in Creative Writing–I love teaching– but was in dire need of more income for my upcoming wedding, among other things. I made a video resume on a Tuesday evening, interviewed on Thursday and was hired on the spot, and started work on Monday. Aaron: My pen and spiral notebook. I love my iPad, digital calendars, and all the rest, but my organization begins with handwritten notes, and I don’t ever see that changing. DealerRefresh: What if you could invent a product for your department, what would it be? Aaron: In a perfect world, I’d love to have a social media management/scheduling tool that handled EVERY platform I maintain a brand presence on. This is the reason why I still don’t use tools like Hootsuite or Sprout Social very much–because I still have to have other windows open in addition to those. DealerRefresh: What changes have you seen over the past year at your dealership? Aaron: The biggest changes over the past year would have to be the transition from Suzuki to Subaru and the addition of an additional Super Car Guys location. DealerRefresh: In 2 years what will your dept look like? In 5 years? Aaron: In two years, I imagine my department to be at least twice the size that it is now. Meaning, it will have two people. In 5 years, maybe a virtual reality dealership? Hard to say. DealerRefresh: Describe the difference that lies between your view on the brand transition and, for example, a sales rep.
Aaron: From a Social Media perspective, transitioning from Suzuki to Subaru was like hitting the jackpot. The Subaru brand universe is diverse, vast, and goes back a long way. The challenge that accompanies this, though, is that there are more voices in the conversation, so we have to work even harder to stand out. As far as the difference between a sales rep’s view and mine, I think they’d be pretty closely aligned. I went through the same Subaru certification process that the sales guys went through to get a better understanding of what makes these cars such an incredible value, and I try to go farther by providing some historical insight into the Subaru line. I am a big fan of old brochures and print ads, so we’ve started a collection of Subaru-themed materials, which I then use for blog posts, Pinterest pins, and so forth. There’s SO much more of that kind of stuff available for Subaru, so I am having a great time with it. DealerRefresh: Your title is Social Media Manager – how important do you think it is for each dealership to have someone like you? Any reason a dealer shouldn’t? You do more than SM, right? Aaron: Regardless of what the position is called, I’m convinced that it’s important to have someone in the dealership to tell the story of the organization as it unfolds. It can be effective when a GM or Dealer Principle posts as him or herself for the sake of local celebrity-building, but as far as building a unique tribe, employees need to be able to point at pictures, videos, posts, etc. and feel a sense of ownership in that content. This really became clear to me when I posted a video about our transition from Suzuki to Subaru (http://www.youtube.com/watch?v=px7wBFs7HUE) and several people who were not even in the video told me it felt like I was telling their story, too. I understand that employee turnover can be a concern, but when employees are treated like they’re going to stay, many times they accept live up to the challenge. Yes, I do much more than Social Media. My role is evolving in the direction of Marketing Management, and I have the amazing opportunity to work with Scott Pitman and Tom White, Jr. (our Dealer Principle and General Manager) regularly throughout the week. Most currently, I’ve cut some radio and television spots for our used car brand, Super Car Guys, which now has two locations in Wichita and making huge gains (my first commercial is now on the air: http://www.youtube.com/watch?v=_hOunSOWSsQ). I come from a performing arts background, so this is a great fit, and I’m excited about the possibilities of what this could mean for me in the car business. I also help with minor IT issues when I can. DealerRefresh: Tell me more about the unique culture at SOW and what role that plays in carrying out your daily tasks. Aaron: Our company culture is pretty much everything, as far as I’m concerned. It’s just been a matter of aligning the stream of fun, helpfulness, and innovative approaches that happen within the dealerships with the online streams of Facebook, Twitter, Pinterest, Instagram, YouTube, Vine, Google+, and so forth. I consider myself an actively creative person, but if there weren’t interesting things going on around me all the time, my job would be tough. DealerRefresh: Do you own jorts? Would you admit it if you do? Aaron: I actually had to Google the word “jorts,” and I’m not exactly sure what that says about my current level of hipness. To answer your question, though–No, I don’t. I would admit it if I did, though. DealerRefresh: What nicknames do people call you? Aaron: It depends on which store I’m at. Here at Subaru, I’m A-A-Ron. At Super Car Guys West, I’ve been given the name “Matrix.” So far, I haven’t been given a nickname at Super Car Guys East–we’ll see how long that takes. So, there you have it – the insightful thoughts behind a Social Media Manager at a successful dealership. Be sure to catch Aaron’s session at DSES13! Reputation Conversion, What’s Your Success Rate? Reputation Management is evolving very quickly. Nearly 3 years ago, Google introduced Local Listings and, with it, the corresponding signals pointing to the increased value of consumer sentiment. The importance of reviews and social engagement has never been higher. Dealerships have flocked to solutions of various types; some partially supported by vendors, others supported by complete platforms. As I’ve previously posted, the definition of Reputation Management is vital to understand before a dealership adopts a reputation strategy or chooses a reputation partner. For those that understand this, the art of reputation can actually be boiled down to simple science. Most solutions deploy a “value chain” approach to influencing customers, regardless of whether or not they are aware of it. This same approach applies to both leaving reviews and engaging via social media. All reputation processes (whether internal or external) can be broken down by value chain. My point here is that Reputation Management is a science. No matter what a dealership’s current strategy may be, every dealership can measure success and ensure specific goals are met. Below is a chart that we recently shared with a review site interested in understanding more about Reputation Management solutions. Basically, it shows conversion rates for each review site as measured through Prime Response. No matter which value chain is being deployed, we always seek to understand conversion. 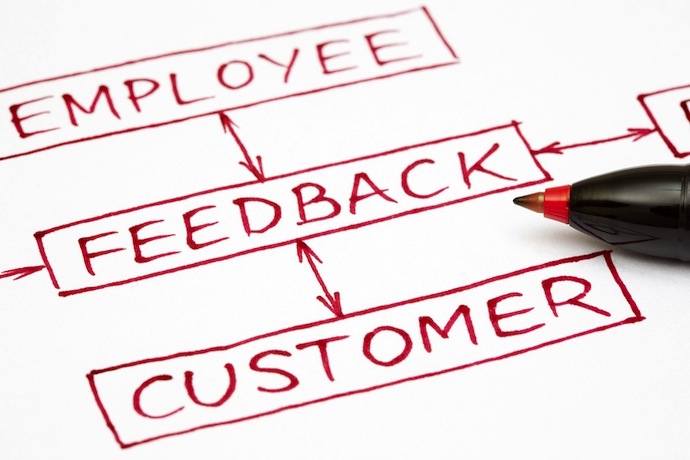 In terms of Reputation Management, this is defined by the successful generation of a consumer review. We measured this by taking all of the traffic sent to each review site vs. the final step of the necessary value chain, review display. Are you measuring your review conversion? ..If so, what does your review conversion rate look like? 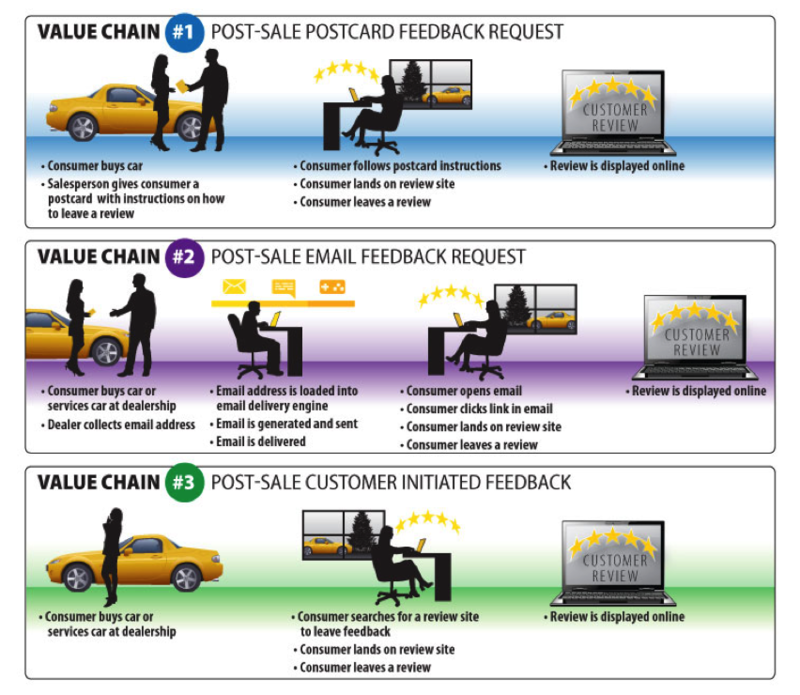 What Value Chain are you using to obtain dealership reviews? What do you think of the conversion numbers above? Let me first extend my congratulations to the Driving Sales team on putting together a great agenda with superior keynote speakers. I am very excited to hear Danny Sulllivan, whom I have followed with my SEO research for several years. And as a formal Naval Aviator, I am also excited to see Leif Babin, former US Navy Seal Officer, speak on developing leaders. I have brought the same leadership skills to automotive that I learned as a Naval Officer, and I am certain that Leif will take that to a higher level. Quite often, when you mention the name “Vast”, the response that follows is “never heard of them.” However, there’s a really good chance your dealer or one of your vendor partners heavily relays on Vast and their services, you’re just not aware of it. Vast has powered or currently powers and partners with most of the largest online vehicle shopping portals in the United States. Portal and Inventory listing websites and services like AOL Autos, Yahoo autos, Everycarlisted.com, Road &Track and KBB (prior to the AutoTrader purchase) – just to name a few. When you’re the backbone of online inventory distribution, while offering one of the most powerful search algorithms that optimize listings to those that best match consumer preferences – naturally your largest assets becomes, what everyone nowadays likes to call “Big Data”. What if YOU could use this “Big Data” in the palm of your hands, and to your advantage help sell more cars each month? Earlier this year, Vast announced CarStory, an iPad application that uses big data and complex analysis to help automotive sales associates partner with their customers throughout the sales process. 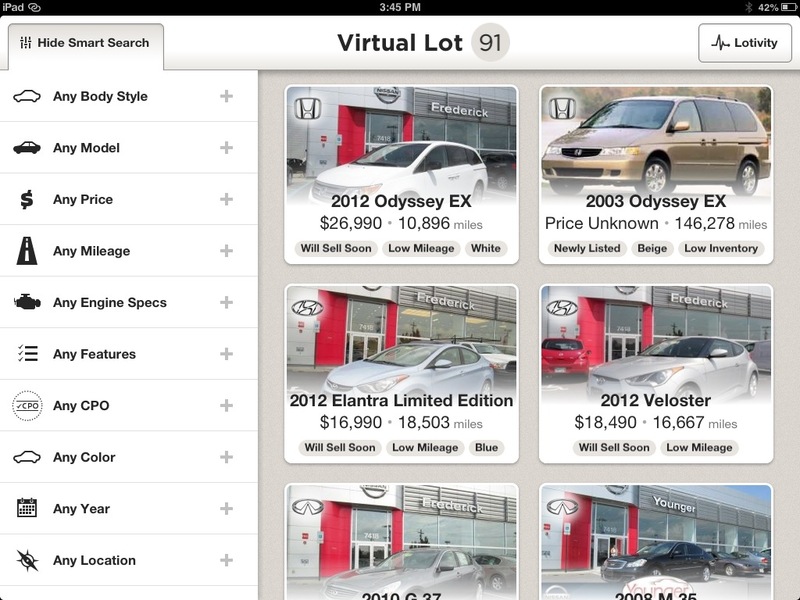 The CarStory iPad App uncovers the unique story behind every used car – hence the name CarStory. CarStory allows the sales professional the ability to walk the lot with the customer while armed with the best vehicle data one could ask for. Great data that allows you to not only shine as a professional but uncovers vehicle information to address each customer concern while driving momentum toward a vehicle purchase. As the seven-year-old big data behemoth in the automotive space, Vast analyzes market signals from roughly 100 million used car searches across hundreds of online automotive sites each month. CarStory’s insights have been carefully developed by Vast data scientists, evaluated by industry experts, and battle-tested on the lot by dealers over several years. The above quote is by Ben Cohen, a long time industry friend and someone that I have a great deal of respect for. I sat down with Ben for a quick interview and Q&A around CarStory. 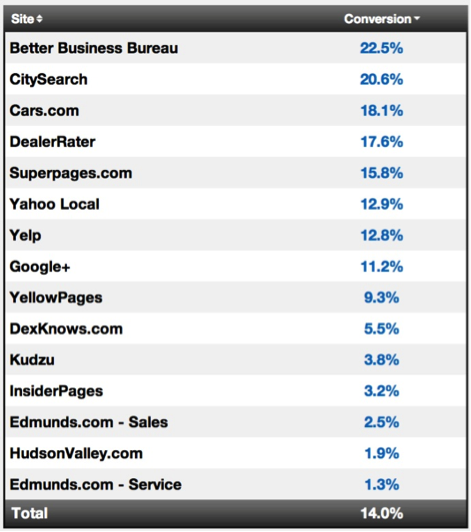 Price or No Price on Your Dealership Website? I have been trolling around this site for a while and as a relative “newbie” to the industry (I actually work at a Harley-Davidson dealership) I find that this site is an awesome resource with a lot of talented contributors. I am struggling with the question of internet pricing. I have searched the topic and haven’t found anything that deals with this question specifically. We have three stores with our used inventory shared on all three sites. One of our stores has elected to not display price online but rather “call for quote“. I believe that this may increase the number of calls, but ultimately will produce less deals. I think that having the price is exactly what today’s internet customer wants. The more info that you can provide, the more likely that when that customer calls or emails, they are “pre-qualified” in a sense because they see the price and have elected to reach out for more information. Anyone have any insight or data on this subject? 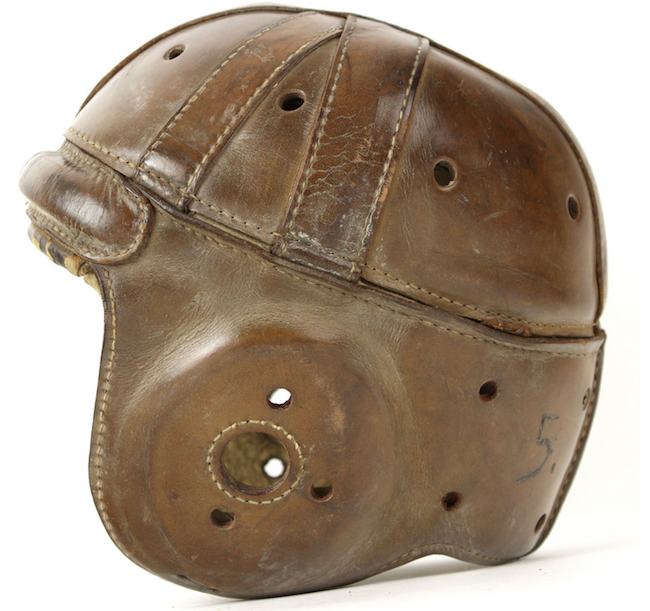 The New Playing Field at the Dealership – Are You Playing? Yasser Arafat is re-elected president of the Palestinian Authority. The Nintendo 64 video game system is released in Japan. Dolly the sheep, the first mammal to be successfully cloned from an adult cell, is born at the Roslin Institute in Midlothian, Scotland. The O.J. Simpson civil trial begins in Santa Monica, California. General Motors EV1 (the first electric car to go into mass production) is launched. Last and definitely least, ‘Yours Truly’ started selling Honda’s in Wilkes-Barre, Pennsylvania. Turns out, it was a very interesting time to enter the car business. I was hired into and taught the “old ways” of selling cars. Back then, going to the dealership was the best way to get information about cars. Just like going to the library..
…was the best way to research a given topic. Our challenges included how to set an appointment for a Phone Up without divulging price and how to handle “THOSE PEOPLE” who dared walk through the door armed with the latest edition of Consumer Reports (remember the magazine version?). We have 2 FREE Tickets to DSES! Want one? If we’re heading to DSES then you should be there, too! So, we’re going to host a nice, sweet, innocent contest to help get you there. Bahaha – that just wouldn’t be right. We have two tickets in our super top-secret DealerRefresh vault (next to our super hero costumes) and we’re looking to see who wants one of these babies the most. 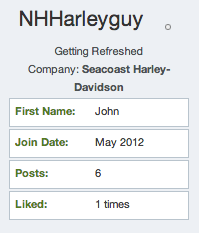 If you’re at all mildly familiar with DealerRefresh you know how much we (John Quinn) love JORTS. Man jorts, woman jorts, even kid jorts. We want you to capture your best jorts picture/experience and send it our way or Then, post it to the forums. Smile pretty for the camera. Shoot a 30 second video about why we should give you a ticket. The only thing is that you can’t say the word Vegas. This is about education and learning – not about the location of the conference. Then, post it to the forums for all to see!